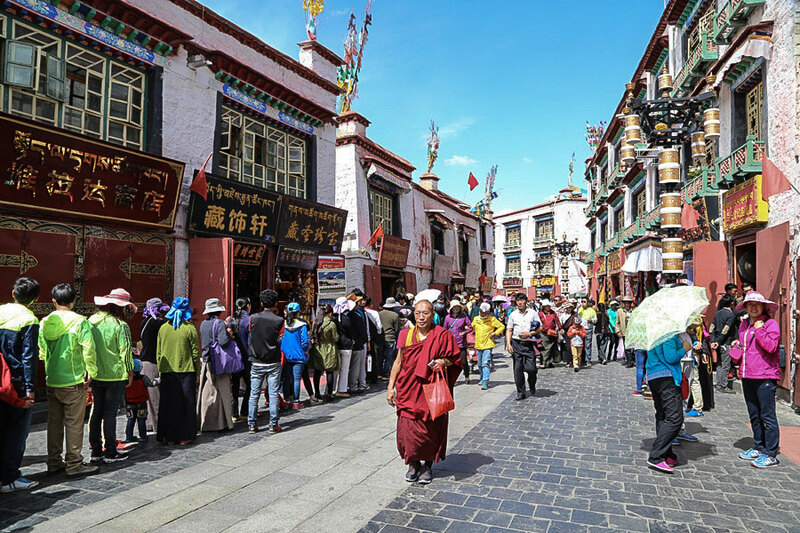 Barkhor Street, a well-known tourist attraction in Tibet, welcomes crowds of visitors from all over the world every day, playing an important role in Lhasa's modern tourism development. Barkhor Street, considered a pilgrimage by Tibetans, was a single circumambulation road around the Jokhang Temple in the past. It has now expanded into Lhasa's commercial center. As the symbol of Lhasa, it's a must-see for travellers seeking to know the city's history, architecture, industry, culture, economy and religion. Overseas travel grows during China's "golden week"